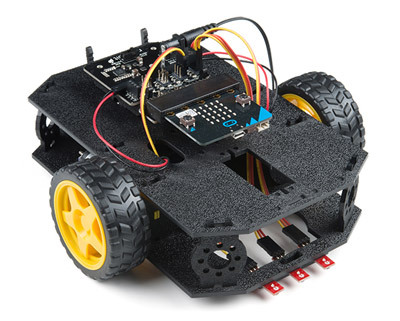 The SIK v4.0 is the culmination of years of revisions based on user feedback on how to get started with programming and hardware interaction with the Arduino language. Besides the careful consideration of included hardware, the SIK v4.0 also includes a full-color, spiral-bound guidebook with circuit diagrams and hookup tables for building each project and circuit. Plus, the final project is an autonomous robot! Start learning electronics by simply snapping parts together while following a fully-illustrated guidebook. With easy-to-use, well-built pieces, children are able to complete projects such as a Light-Controlled Alarm or a Saltwater Detector. The experiments include resistors, capacitors, transistors and more, so children gain an understanding of how these parts function in the electronics world. This a versatile soldering kit for beginners to learn to solder LEDs, battery clips, a 28-pin microprocessor and more. 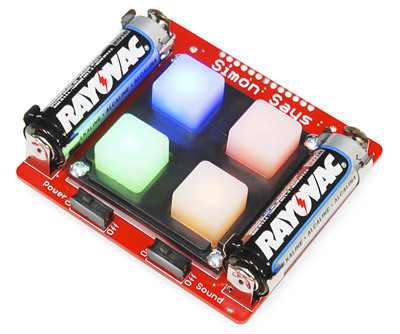 The kit also comes with batteries and, of course, you'll have your very own Simon game when you're finished! Added bonus: After it's all put together, you can reprogram the kit with Arduino. 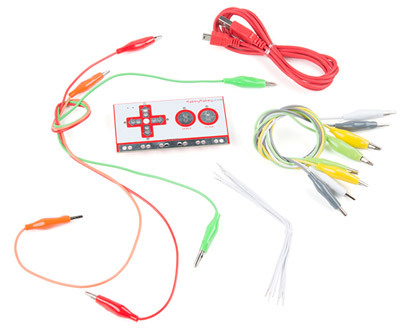 With the Makey Makey, you can make anything conductive into a key, just by connecting a few alligator clips. 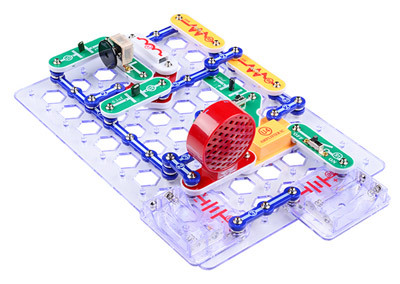 The Makey Makey Classic by JoyLabz is an invention kit that tricks your computer into thinking almost anything is a keyboard. This allows you to hook up all kinds of fun things as an input; for example, play Mario with a Play-Doh keyboard, or make a piano with fruit! 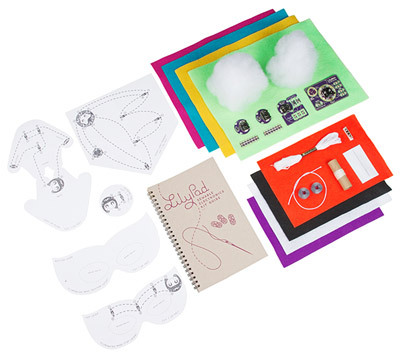 This kit lets you explore the wonderful world of electronic sewing (e-sewing) and e-textiles through a series of introductory projects using the LilyPad system. You’ll learn how to sew basic circuits to light up LEDs, control them with buttons and switches and even experiment with a pre-programmed LilyMini circuit that reacts to ambient light levels. 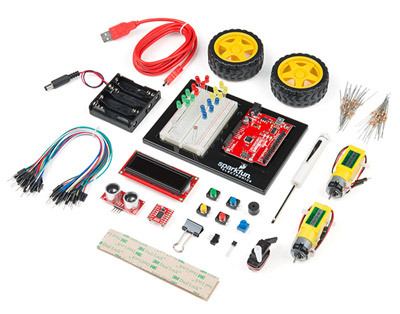 The SparkFun IoT Starter Kit with Blynk Board is a great way to gain a solid introduction to the world of Internet of Things (IoT) technology without any difficult programming. With this kit, you will be able to get your Blynk Board connected and, by utilizing the pre-loaded projects, use diverse set of components to build an array of web- and phone-connected projects. 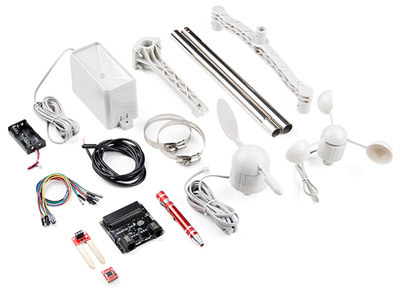 The SparkFun micro:climate kit is a great way to get your feet wet in high-grade sensors like our tried-and-true Weather Meters and Soil Moisture Sensor. Whether you’re an agriculturalist, a professional meteorologist or a hobbyist, you will be able to build a high-grade weather station powered by the micro:bit. You can even talk via wireless communication between two micro:bits with this kit to monitor the weather without being exposed to it! The Raspberry Pi 3 B+ Starter Kit is a great way to gain a solid introduction to the small, credit-card-sized computer. 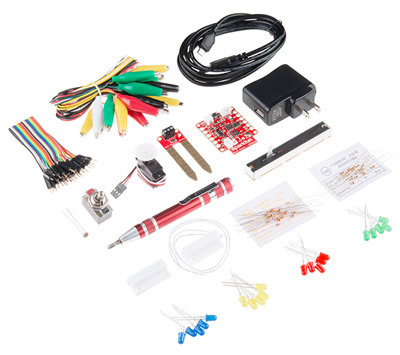 With this kit you will be able to connect a Raspberry Pi 3 B+ through our SparkFun Pi Wedge to a breadboard and, by utilizing the RPi’s 40-pin GPIO, control pushbuttons, LEDs and a host of user-created circuits. This kit will not require any soldering and is recommended for anyone with a drive to learn more about the Raspberry Pi and its programming.